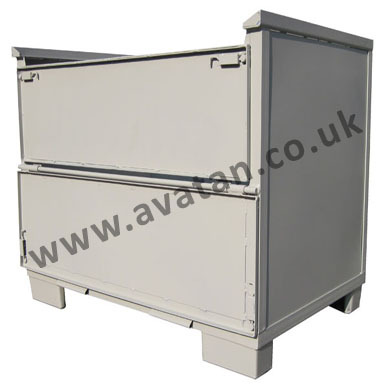 Box pallets manufactured from mild steel, to suit your own needs. 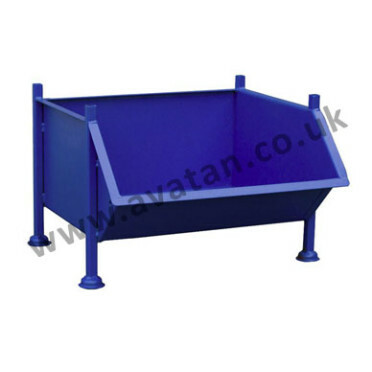 Manufactured to order in all sizes, metal stillages with sheet steel sides are designed to retain loose and smaller items. 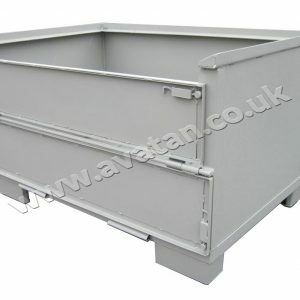 Robust and durable heavy duty stackable metal box pallets and stillages may be fitted with removable or hinging gates. 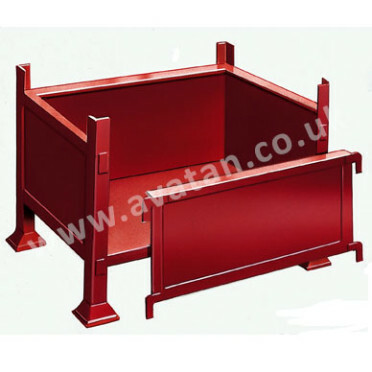 UK style box pallets with conventional conical feet and European style Gitterbox pallets are available. 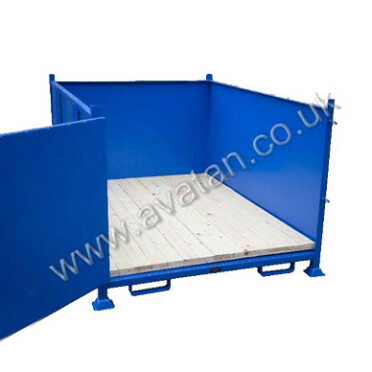 Fully collapsible folding box pallets with either hinging or removable sides in standard and bespoke sizes are also available. 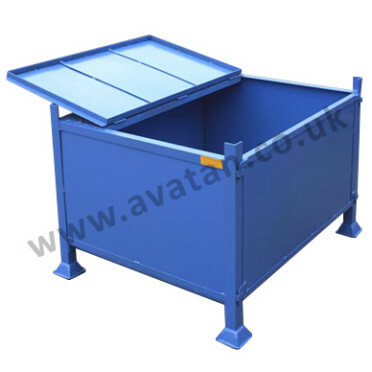 Secure box stillages with secure hinging or removable lids will offer pilfer resistance for higher value contents. 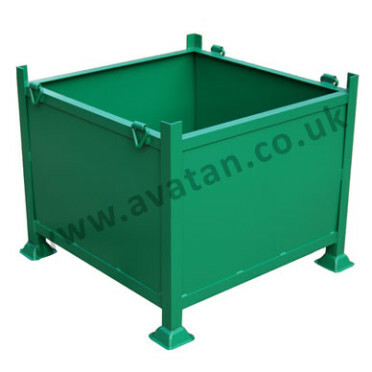 Heavy duty foundry bins are also within this range. 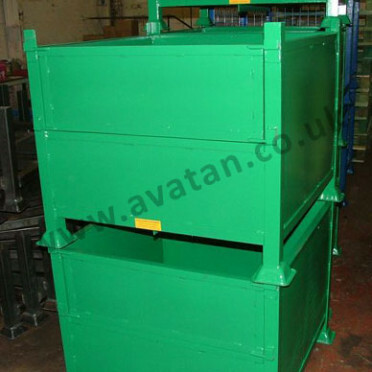 These steel box pallets may also be fitted with lifting eyes suitable for lifting by crane or hoist. Crane lift stillages will be individually load tested and a certificate issued confirming their capacity. 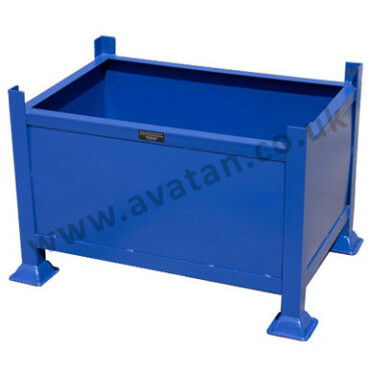 For safe, quick and easy stacking, steel pallet feet are usually fitted to the stillages. 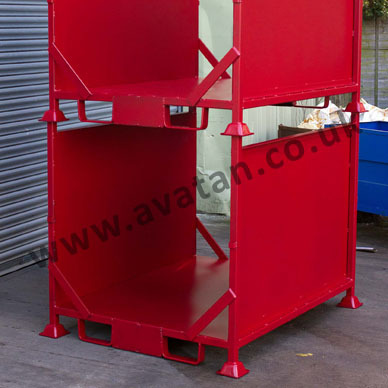 However, if space is at a premium, nesting plugs may alternatively be used, minimising the overall size of the steel pallet.